Fill out the form or contact 1-800-450-5319 for a FREE quote and more info on auto transport to Tanzania with A1 Overseas International! International auto transport to another country is never an easy task. In fact, it should be prepared for months in advance. By contacting A1 Overseas International and then Tanzania Customs, you can prepare as necessary for your vehicle’s journey across the seas. Other than dealing with Tanzania import and export regulations for vehicles, you will need to decide upon the services that suit your needs best. Through A1 Overseas International, you will have many services and features available to you. Choose wisely and don’t be afraid to splurge on features that make you feel safer about your vehicle’s transport. With all of the services and features offered through international auto shipping companies, choosing the right ones can seem overwhelming. Take comfort in the fact that insurance coverage is automatically included. This will protect your vehicle regardless of the shipping services chosen. 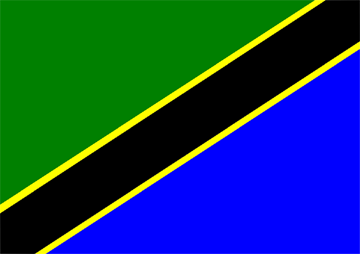 There will be a lot offered to you, but it depends greatly on what you desire for your vehicle’s transport to Tanzania. A1 Overseas International can customize your transport experience while assuring on time delivery. When you must choose between RO/RO shipping and container shipping, it is best to understand the differences. RO/RO shipping is perhaps the most cost effective and popular option. It requires the vehicle to be in good condition and able to drive onto and off of the flatbed ship. The vehicle will be left open to weather conditions while transporting. Crated shipping services include putting the vehicle inside a container. This container is large and can be split with another person. The vehicle can be filled with possessions allowed by Customs and so can the container. Fill out the form or call 1-800-450-5319 for more information in regards to auto shipping and to receive your FREE price quote on boat, motorcycle and car shipping!